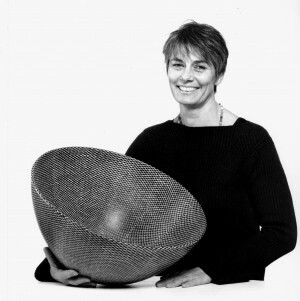 Ane – Katrine von Bülow, Danish ceramics designer, born 1952. Graduated from Danmarks Designskole 1980. Studied Sumié brush painting in Japan. Teacher at The Danish Design School 1983 – 2005 in ceramics decoration and serigraphy. An interdisciplinary development has lead to a teaching-compendium” serigraphy on ceramics and glass,” as well as decorations as a unified whole – serigraphy printed or transferred by projected light on the dobbelcurved form. 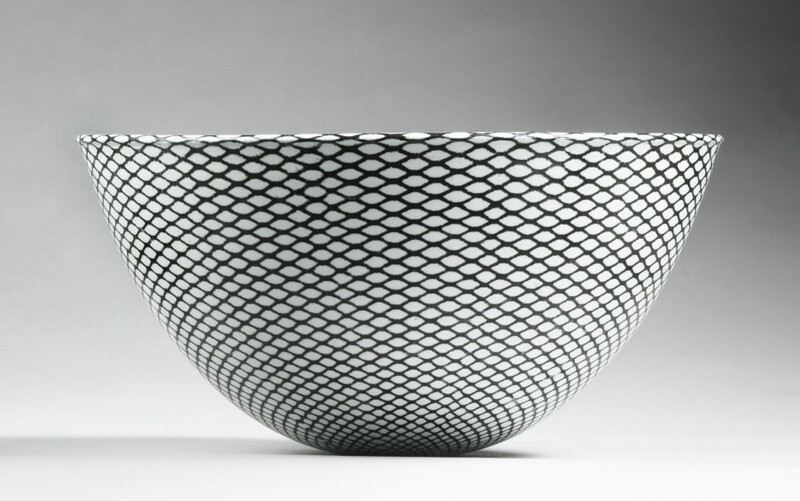 In her ceramic Studio, her work of art expands from very large bowls to small porcelain vessels, geometrical and simple shapes. The silk-screen print is used as a technique for an artistic expression of ornamentation where the repeated pattern encircles the vessel shape as texture. -On The International Salt Glaze Competition 2006, Handwerkskammer Koblenz in Germany has three objects been awarded.